Michel's Patisserie Penrith joined our Mission to help provide access to “Clean Water for All by 2030”. This Mission was initiated by the United Nations. A big thank you to Michel's Patisserie Penrith’s team and customers for joining this extremely important mission on 06 December 2017. 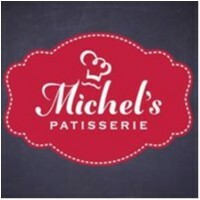 Most recently, Michel’s has introduced an exciting new store format, Michel’s Patisserie & Café, opening in Cannonvale QLD in 2014. Michel’s Patisserie & Café maintains everything customers love about Michel’s Patisserie with an added café menu, including breakfast and light meals. Now selling over 16 million coffees and 1 million cakes per year, it is the special quality and evolution that’s made Michel’s Patisserie Australia’s favourite Patisserie for 30 years and why it remains the largest Patisserie chain in Australia.